Anti-Semitic incidents hit record levels in the UK over the first six months of 2017, with a Jewish charity warning of “unprecedented” levels of attacks, abuse and harassment. The Community Security Trust (CST) said 767 reports were made to them between January and June – a year-on-year rise of 30 per cent. These incidents included 80 violent assaults targeting Jews. The specific recorded attacks were widespread and directly targeted, including instances of verbal abuse as well as graffiti, vandalism, hate mail and attacks made via social media. Ten of the threats involved knives, bats or cars. A total of 570 – or 74 per cent of all the incidents – were recorded in Greater London and Greater Manchester, which have the two largest Jewish communities in the UK. 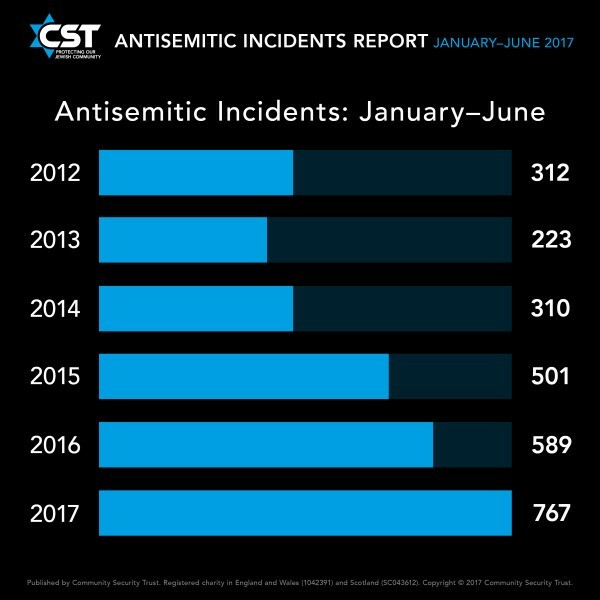 The CST revealed abuse on social media made up 142 of the anti-Semitic incidents in 2017, up from 136 incidents in 2016. “Social media has become an essential tool for those who wish to harass, abuse or threaten Jewish public figured and institutions,” the CST said. 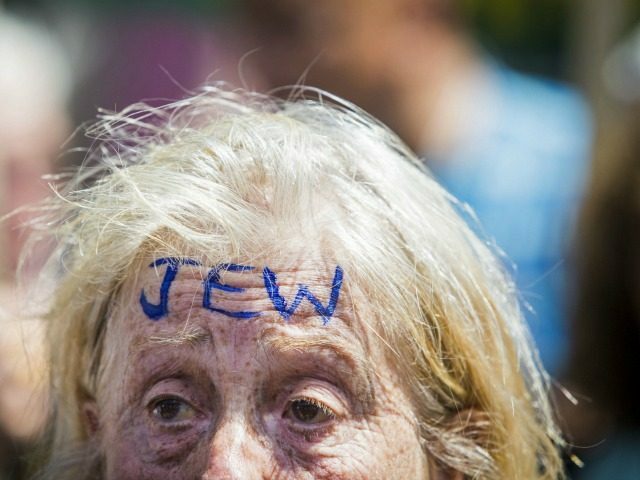 “Anti-Semitism is having an increasing impact on the lives of British Jews and the hatred and anger that lies behind it is spreading,” Mr Delew added. The new CST report follows another study released in early July that charted a similar increase in anti-Jewish sentiment. As Breitbart Jerusalem reported, new figures were obtained from all UK police forces by the Campaign Against Antisemitism for its National Antisemitic Crime Audit that showed another steep year-on-year rise. At the same time the number of charges for those perpetrating hate crimes against Jews fell “drastically”, with alleged perpetrators charged in fewer than a tenth of cases, campaigners say. They also claim a “paltry” 15 cases were prosecuted last year.